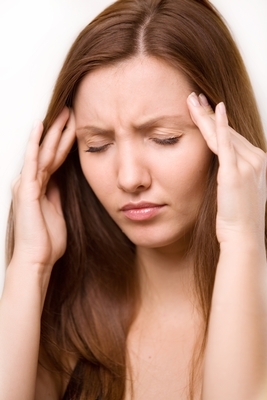 Migraine headaches are so disabling, and the pain in the head area can be so strong that the sufferer would naturally be convinced something inside the head must be responsible for the throbbing, exploding, or constricting, boring pressure that is often experienced and with the visual disturbance as well. Using diagnostic techniques that have arisen in the specialized chiropractic discipline of applied kinesiology, Dr. Davis is able to measure with neuromuscular reflex testing which systems are failing the most that are related to the onset of migraine headaches. What is generally found is that migraines are truly a metabolic, multi-systemic phenomenon with a number of causes. That is why it is not a quick fix. And it is why classifications of headaches that come out of mainstream medicine (pharmaceutically directed as it is) may not apply so much in integrative natural healing and chiropractic. In migraine sufferers, irritation and spasm is often found to be occurring in the end of the small intestine where it joins the large intestine. That is the ileocecal valve area. When this area is affected, waste material is not propelled through the large intestine correctly, and a serious toxic condition can gradually arise that, in a sense, is auto poisoning. This is part of what is responsible for many so-called “migraines.” In fact, this problem is often a part of most types of headaches. Displacement at the base of the skull and vertebral displacement in the neck can seriously disturb blood supply to the head and that is often part of most serious headaches. Additionally, environmental sensitivity to toxins from mold (mycotoxins), especially prevalent in Nashville, can be part of long term chronic neurotoxin exposure responsible for headache. Memories of emotional trauma stored in the unconscious mind are always evaluated at Davis Holistic Chiropractic Center, and neurologically transformed and minimized using Emotional Recall Technique.